The Society’s latest plaque celebrates the life of the architect Charles Jones (1830-1913) who was the first Borough Architect. He was responsible for the design of many buildings in Ealing, including the Town Hall. 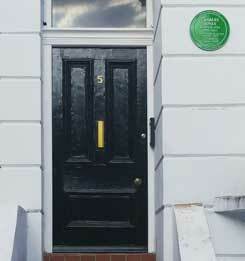 It was unveiled in April by the Mayor of Ealing, but has now been installed on the house where he spent much of his life: 5 Windsor Road W5. Pictures of this and all the Society’s plaques are to be found on our Plaques pages.